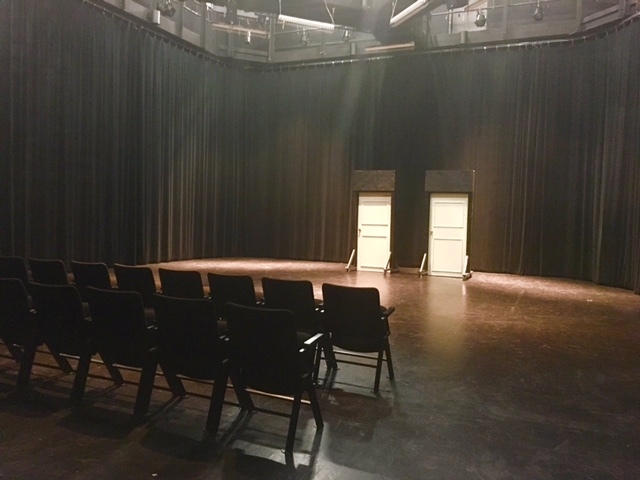 The John Bowab Studio Theatre is a flexible 43 ’x 52’ black box theatre located in the Smith Center for the Arts. The Bowab is both a teaching and performance facility. It is home to studio courses offered by the Department of Theatre Dance & Film and serves as a rehearsal space for students enrolled in acting and directing courses. Additionally, the Department of Theatre, Dance & Film sponsors an annual series of student directed plays which are produced in the Bowab.